This week I’ll be sharing some different chutney recipes that are super quick and easy to make. In one of my previous post I had shared an easy quick recipe for Green Coriander Chutney which is one of my all time favorite. 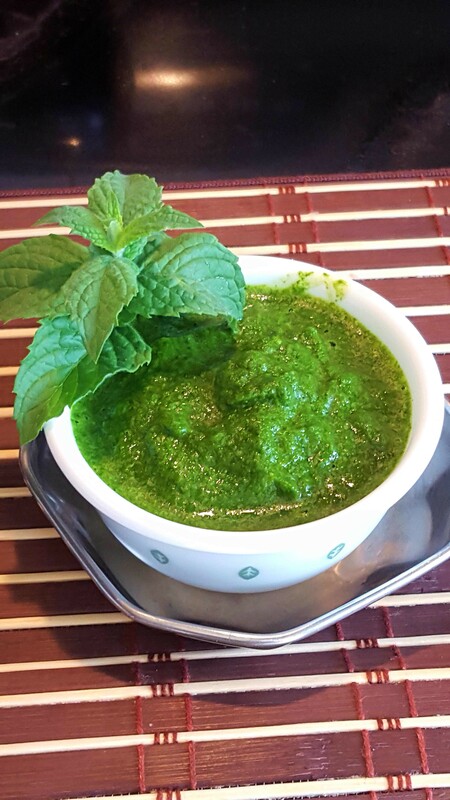 Mint Coriander Chutney is also another super fast and quick chutney to whip up. Coriander and Mint are also always available in supermarkets and now with summertime in a lot of our gardens. Like me! Besides, cooking I also enjoy gardening fresh flower, herbs and vegetables. Coriander also known as dhania or Cilantro is one of the first things that are planted in the garden, at least in my garden (won’t lie only when the garden is fully ready) …..coriander needs to be harvested soon as the frost is gone …. where I live in Canada it snows for a few months so about April is when the seeds need to be on the ground or potted to have fresh coriander by end of May to June. I’ve also got Mint in my garden that grows year after year and in huge lots. This year I’ve potted in a huge pot so ….I can hand pick it anytime and to avoid it from spreading all over the garden like a wild fire. 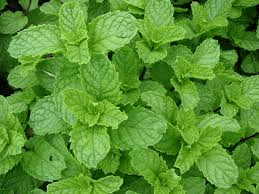 Mint also comes in many different types, flavor and scent. I’ve planted the “Spearmint” this mint originated from Asia and is very aromatic. Spearmint can be used in many different form like fresh, frozen or dried. Fresh Spearmint taste the best in “Chai” desi Indian Tea. Mint Coriander Chutney is one of those things that is a must in the refrigerator. It’s a very flavorful, aromatic, tangy and spicy chutney that goes well with many different dishes as a side condiment, spread or dip. Mint Coriander Chutney and Green Coriander Chutney goes well with samosa, parathas, dhokla, khaman or even pakora. It can be used has a spread on sandwiches. If you enjoy flavorful chutneys be sure to check out some of my other recipes that go great together: Tortilla Vegetable Samosa, Cucumber Cheese Chutney Sandwich, Paneer Bhurji Sandwich, Aloo Palak Paratha with Cheese, Bhaji Paratha or Spinach Tomato Omelette (Eggless). 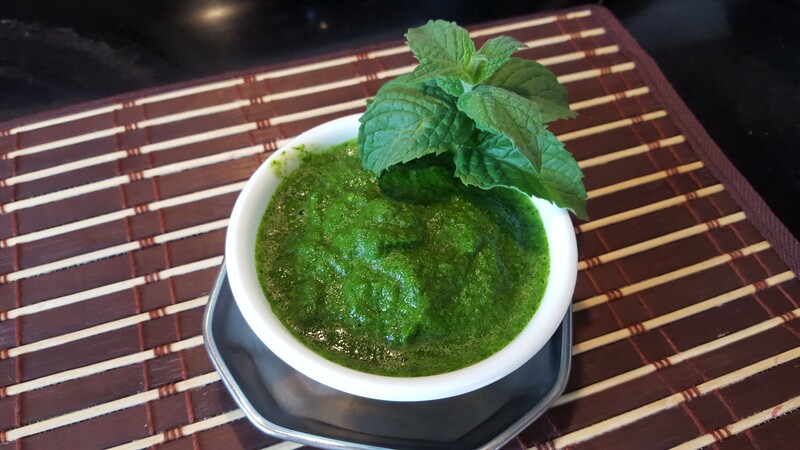 Quick and Easy Mint Coriander Chutney ....full of flavor, aromatic, tangy and spicy Chutney. Half stalk of Coriander/Cilantro (about 2 cups) cut of root part only leave stems. 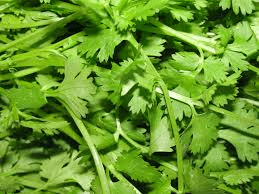 Make sure to wash coriander and mint properly and can be roughly chopped. At this point check and do a taste test and adjust the salt and lemon to your liking. Store the chutney a airtight container and keep refrigerated. adjust green chilies to your preference. I love the aroma of mint and coriander and this chutney is simple and tasty dear!